Matt has the privilege of being the surf guide at the newest Surfing Destination in the Maldives 'Cokes Surf Camp'. Matt is originally from Newcastle and ahead of many candidates for the job we chose him to run Cokes Surf Camp, because of his gentle spirit, willingness to work and servant like attitude. 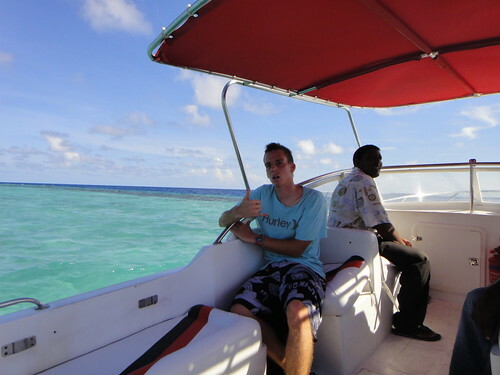 Like his fellow colleague Charles (Paradise Island Guide) he too has been nicknamed affectionately 'halfbrain' by the friends he has made since being in The Maldives, which he just giggles at and continues his day like any other. We are very great full to have him on our team for atleast the 2010 season. One thing we know about Matt is he has the best intentions with the new Camp and im sure your time with Matt will be a memorable experience!